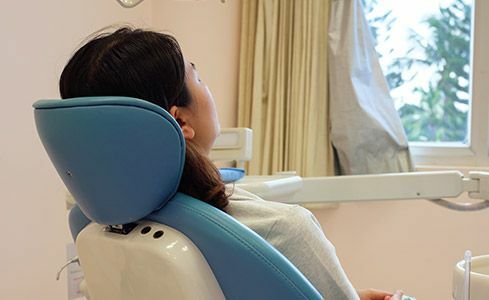 Fear of the dentist is a common problem for patients of all ages, and the negative feelings can be so strong that they may even put them off from attending regular dental checkups, which can lead to serious damage for their smile down the road. Here in Long Island City, our dental team wants to help you receive the revitalizing care you need while feeling relaxed and at ease. With the help of sedation dentistry, we can take the edge off of phobia and discomfort, replacing them with easy contentment. Why Choose LIC Dental Associates for Sedation Dentistry? Nitrous oxide (also known as “laughing gas”) is a mild sedative that’s safe for all ages. 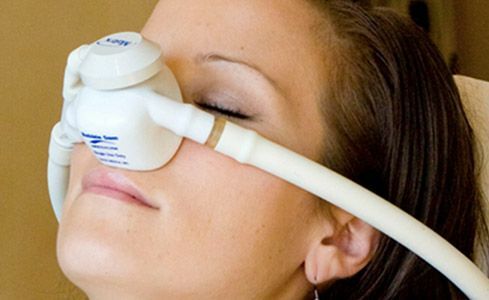 The gas is mixed with oxygen and administered through a nasal mask that stays in place on the patient’s face throughout the treatment process. Feelings of calmness should set in within minutes of exposure. Many patients choose nitrous oxide because the effects wear off quickly after the gas flow is cut off. You’ll be able to return to work, run errands, and even drive yourself home without significant downtime, which is ideal for people and families with busy schedules. 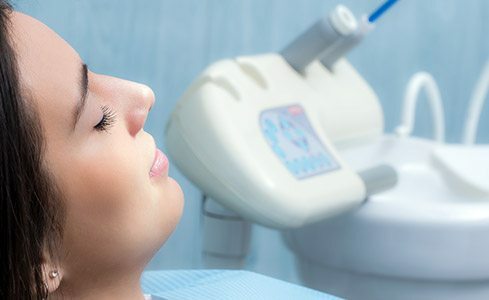 Conscious sedation is a more moderate service that may benefit patients with stronger feelings of dental-based anxiety or fear. We’ll prescribe medication and provide detailed instructions for when to take it before your appointment is set to begin. Please be aware that you will need to arrange for a trusted friend or family member to bring you both to and from our Long Island City location, as you will be unable to drive safety. As the name implies, patients will remain awake throughout their procedure when using oral conscious sedation, but they will likely enter such a deep state of relaxation that they won’t have many memories of the experience once they’re recovered. IV sedation is very similar to oral conscious sedation in terms of its overall effects and strength, but the delivery process is much different. Once the patient is comfortably settled into the treatment chair, their medication will be administered intravenously; this allows our team to adjust the dosage in real time as needed to ensure the most comfortable experience possible. General anesthesia renders patients completely unconscious, and it is typically only recommended for young children who are in need of advanced dentistry or older patients with severe dental phobia. At LIC Dental Associates, we’re proud to offer the services of Dr. Gordon Barnes, our in-house, board-certified anesthesiologist who has 25+ years of experience in this important field. He will ensure your safety throughout the treatment process, closely monitoring vitals and making adjustments as needed for optimal comfort. Talking with Dr. Saran and his team is the first step in deciding if sedation dentistry is for you. 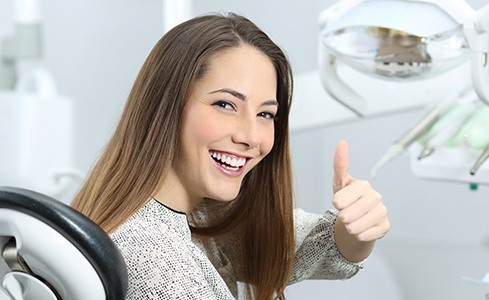 Whether you are afraid of needles, have trouble getting numb, or are simply anxious when it comes to dental work, you and your dentist can discuss your individual case and options. Do you live in or around Long Island City? There is no reason to put off your dental work - all it takes is a phone call to get the dental care you need. Call us today.